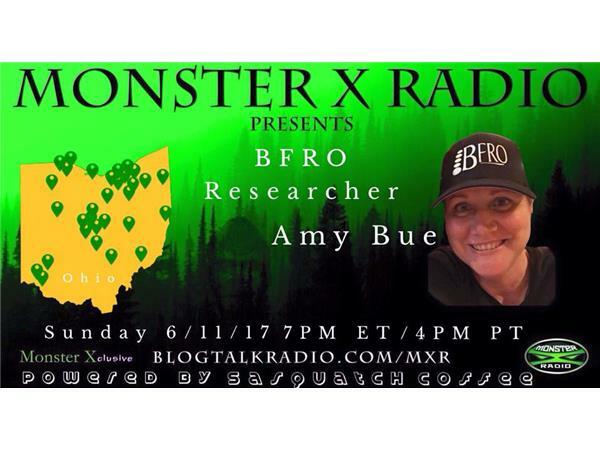 Amy Bue is a BFRO investigator in Northeastern Ohio. Amy helps with the Ohio Bigfoot Conference, as well as Fathom Frontiers' Bigfoot Night Hikes and their Bigfoot Adventure Weekend--all at Salt Fork State Park. Most of here solo investigating is in Columbiana County, the setting of the famous Ohio Howl recording. Over the past few years, Amy Bue has also been traveling to Southern Ohio, Pennsylvania, New York State, and Kentucky to interview witnesses and conduct here own research. Although most of the time she gets out into the woods alone, Amy enjoys spending time with friends and fellow researchers in her group and other Ohio groups.